Hello everyone! 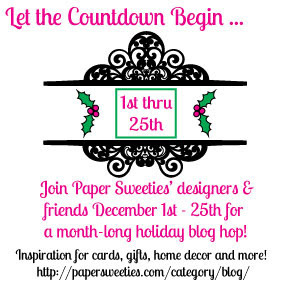 It's time for 25 Days of Christmas with Paper Sweeties and I'm so happy to get to kick it off with the December 2nd post. :) Let's get right in to it! 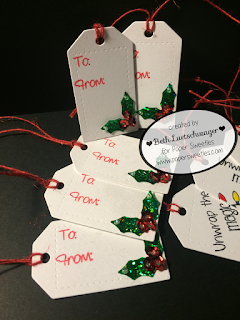 My first project is simple a gift tag. I used the holly from the new Jingle All The Way Stamp and Die Sets with the "To" and "From" stamps from the Stand Add on: Sweet Treats Stamp Set and the tags themselves were cut using the Stitched Tags #1 Die Set. Since this one was so small, I decided to make a second project. 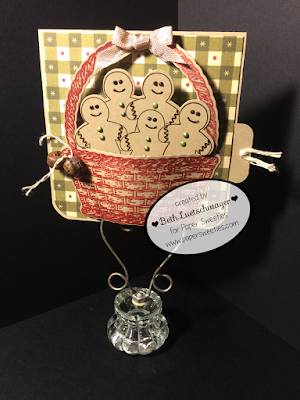 These cute little gingerbread men were from the new Basket Add On: Baked With Love Stamp and Die Sets. The tag on the top was cut out with Stitched Tags #1 Die Set and the "Sweet Treats" sentiment was from the Stand Add-On: Sweet Treats" Stamp Set. To add a bit of polish I used a border from the Sweet Borders Die Set along the bottom. That's all from me for today! 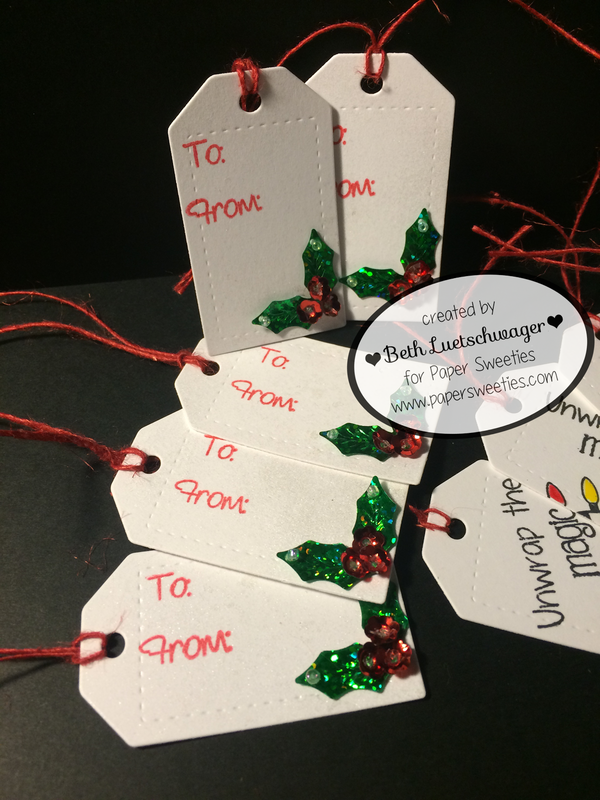 Come back on Christmas Day for one last post for the year! 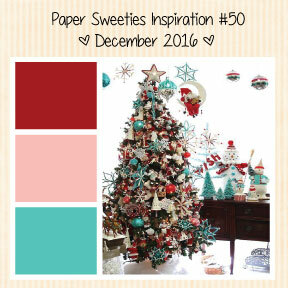 Paper Sweeties December 2016 Inspiration Challenge! Hey guys! Can you all believe that it's already the end of 2016? I certainly can't. Last month passed by way too quickly. But now it's time for the Inspiration Challenge for December, so let's get started with this month's theme. 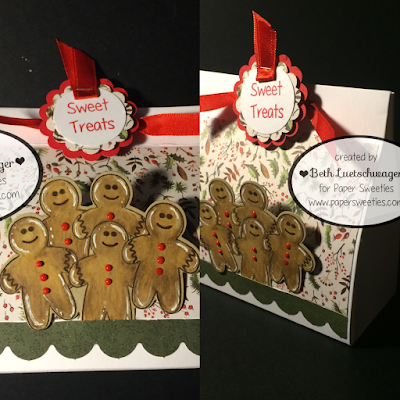 I made this wintry card with the Thanks Snow Much Stamp Set and the Stand Add-on: Sweet Treats Stamp and Die Sets for the snow flakes. To finish it off, I used a bit of Seam Binding in Tea. That's it from me for this challenge! Be sure to check out everyone else's creations for this adorable theme. Hi there everyone! It's already time to wrap up the November release event, and while I'm sad about that, I'm excited to show you all what I've made! This time, I made this adorable card that's not unlike the one I made for the inspiration challenge. The silver in the wreath as well as the bow came from the Hello Spring Stamp and Die Sets, paired up with some watercolor for the rest of the wreath. The cute little hollies and the "Merry Christmas to All" sentiment came from the Jingle All The Way Stamp and Die Sets. That's all from me for this month! Be sure to check out everyone else's projects as well! 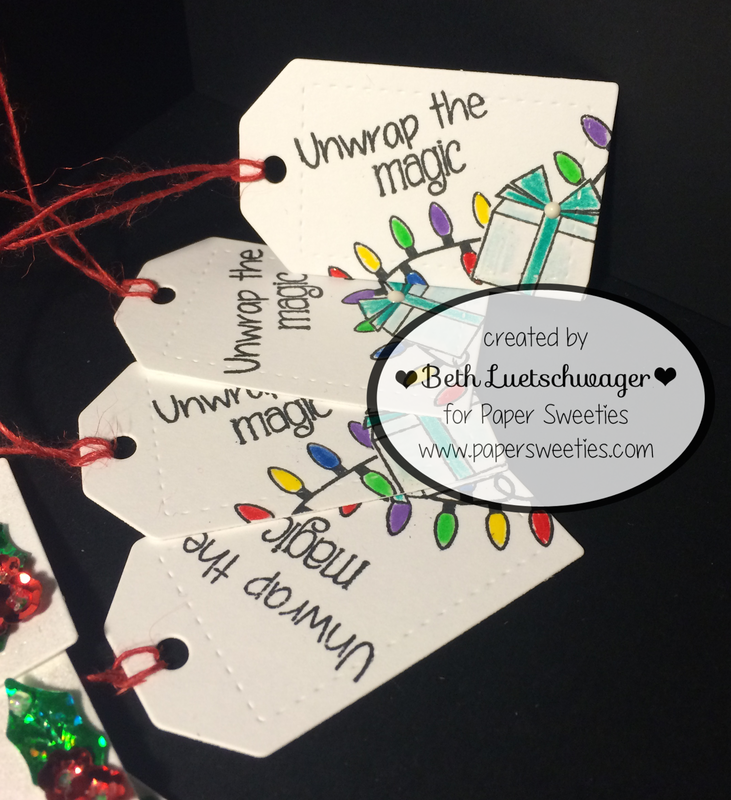 Beth Luetschwager < You are here! I made these adorable post it note holders using the Jingle All The Way Stamp and Die Sets. I just immediately fell in love with this little reindeer pulling his sleigh. So cute! That's all from me, be sure to come back tomorrow for the rewind and to check out the other projects as well! Hey everyone! I can't believe it's already time for the November release event! This month has just absolutely flown by. With that, let's get to what I've made for the Sneak Peek! I made these adorable candy wraps and matching bag ties with the Stand Add-on: Sweet Treats Stamp and Die Sets. I also used the new Jingle all the Way Stamp and Die Sets for the holly set. On one of the bags, I used some Sequins in Mistletoe to add a bit of shine. 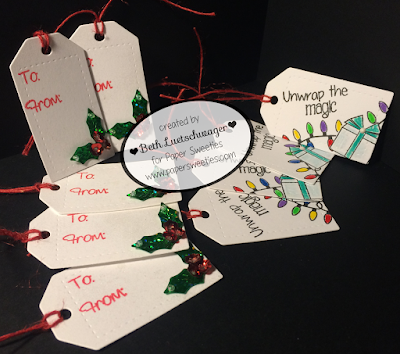 Be sure to check out everyone else's creations and come back tomorrow for the release project! It's time for the September Rewind!!! I'm sad to see the September release celebration come to a close, but excited to share this new project with all of you. This time around, I made this colorful set of cards! Using one of this month's new releases, the Thanks Stamp and Die Sets for the adorable "sending hugs and kisses" sentiment, and the Sweet Boarders Die Set for the banner and hearts going across the cards. 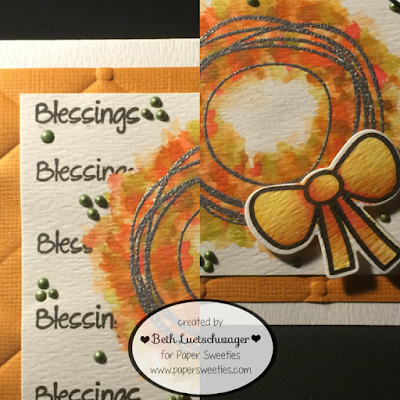 For a bit more color, I used the "XOX" stamp from the Get Your Craft On Stamp Set from the Planner Series!! How cute! That wraps up the September 2016 release! I hope you all had as much fun as I did!! 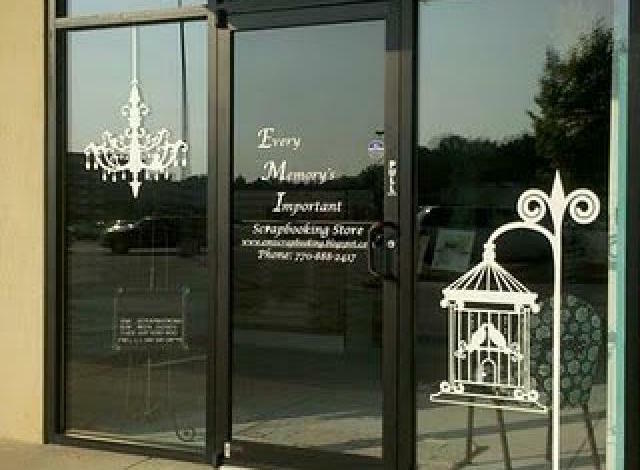 Don't forget to check out everyone else's designs!! I am so excited for this month's new releases, Thanks and Thankful! I know you all are going to love them and I can't wait to share more from this release. To add a little bit of an accent, I used some Paper Sweeties Sequins and Seam Binding, both in Creamsicle! 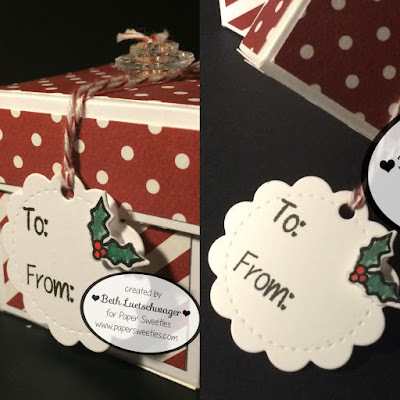 I'm so excited for tomorrow's post and I hope you all are too! Be sure to look at the rest of the team's creations as well. This month's release has been such a blast! But now it's time to wrap it all up with this month's rewind. 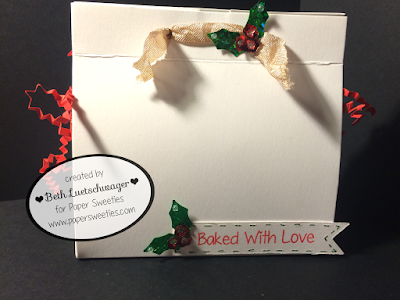 I made this cute little invitation with the Window Die Set and the Window Elements Die Set. Our little visitors were cut and stamped using the Emma Stamp and Die Set, Jake Stamp and Die Set and Abigail Stamp and Die Set. Our feathered friend came from the I Love Summer Stamps and Die Sets, and the flowers and signs are from the Wagon Add-on: Bloom and Grow Stamp and Die Sets, with the words on the signs from the Winter Sentiments Stamp Set from the planner series. This release was so much fun! I can't wait for the next one. 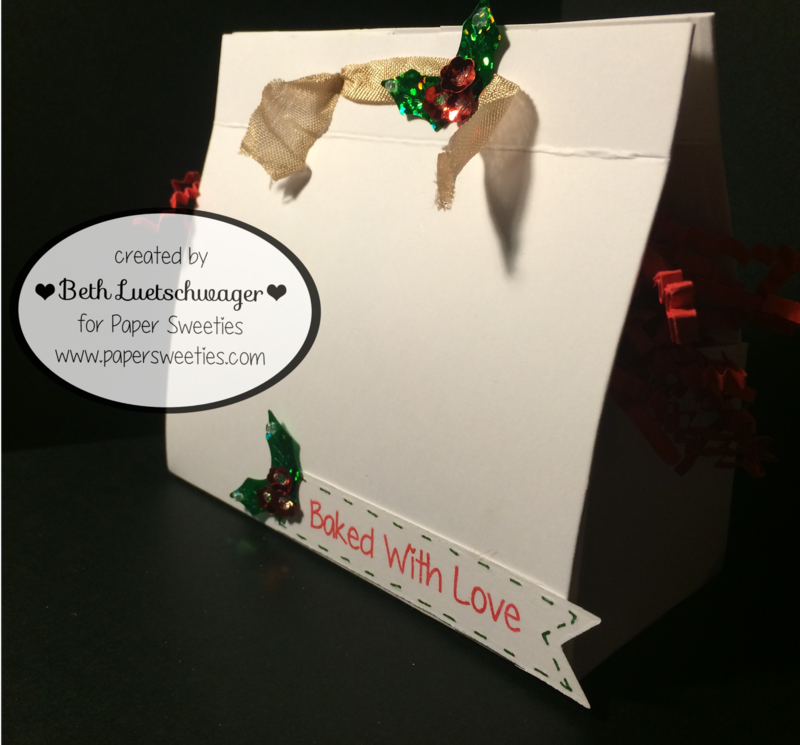 Be sure to check out everyone else's creations as well as the birthday celebration on the Paper Sweeties website! 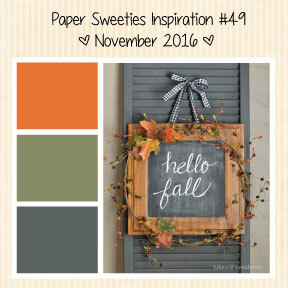 Oh my gosh it's another amazing release from Debbie at Paper Sweeties! I must admit I thought I was being clever when I used the window die for a pocket. Debbie has such an amazing group of designers that work for her. So I humbly add my "pocket card" to the collection. It was such a fun card to make. I used the Window Die Set to create the pocket. The denim paper came from the We r Memory Keepers denim paper collection. I used a white jelly roll pen to accent the stitching lines already in the die. Then to create the stitching on the in the center of the pocket. Those cute little flowers came from the Thinking of You Stamp and Die Sets, while the smaller flowers in the back came from the Sending Sweet Thoughts Stamp and Die Set. Put together with the sweet little banner from the Hello Friend Stamp Set, this was such a fun project to put together! Be sure to check out everyone else's creations! 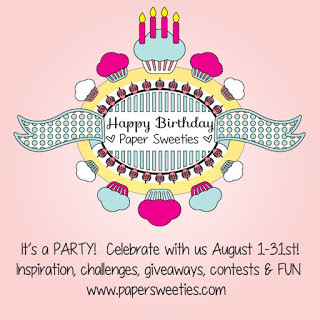 And don't forget to check out the birthday fun on the Paper Sweeties website! 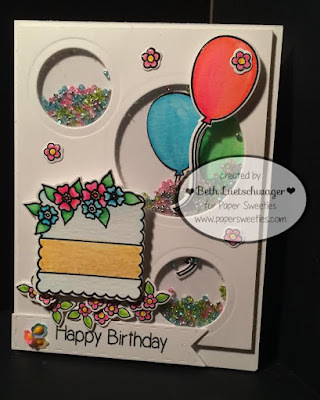 For this cute little card, I used the Party Time Stamp and Die Sets paired up with the Hello Friend Sentiment Set and the Sweet Borders Die Set for that cute little greeting. To add a bit of a flourish, I added some cute little flowers from the Sending Sweet Thoughts Stamp and Die Sets, as well as some adorable flower shaped sequins for a bit of sparkle. That about wraps it up for me! 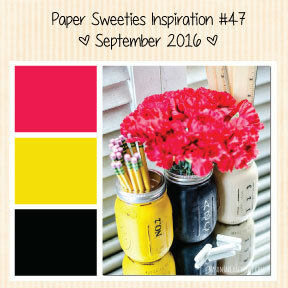 Don't forget to check out the 4th Birthday Celebration on PaperSweeties, as well as everyone else's creations!